Test day at Landow. First time in the car, testing went really well. Lap times fell consistently through the day. 145 laps covered and a good time set. Unfortunate incident with a tyre change led to the day being cut short. Castle Combe pre race test day. Only 4 laps in and a mixture of an over keen driver and incorrect car settings led to the first accident of the season. Thankfully the driver emerged OK and the car was worked on in order to prepare for the race day which was 3 days later. Thanks to Brian Soule for supporting the team with a new setup, Sam progressed through qualifying and completed his first race. Sadly in the second race of the double header another driver failed to miss him in an early race incident where 4 cars were taken out and failed to finish. The team had to make do with one very short practice session. That said qualifying went well (it was wet and drying).. Sam achieving his best grid place to date. 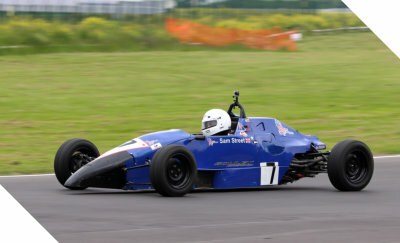 The race was on just after mid-day and Sam progressed with no issues completing his second race finish of the season. First outing of the year for the team. A track Sam has worked at in the past but new for the rest of us. Another great step forwards as we continue to compete with the experienced teams and drivers. Our challenge to get on the grid, finish the races and return with smiles on our faces. Subject to securing more funding the plan is to compete in at least 2 more National events through 2017. Silverstone and Donnigton being the next venues. March 30 - April 1 Silverstone FF1600 Triple Crown June 1-3 Brands Hatch FF1600 Triple Crown July 12-15 Castle Combe FF1600 National Series August 1-4 Oulton Park FF1600 National Series October 11-14 Brands Hatch FF1600 Triple Crown November 1-4 Silverstone (Walter Hayes Date TBC) Practice and Race days included. What a meeting, practise was going well until an engine failure resulting in a late night Friday. Thanks to the people at Scholar a planned upgrade was brought forwards from 2018, and Sam got to experience performance in the car as never before. A solid qualifying against newer cars placed in 11 on the grid, with no time for setup after the engine change and compormised by the need to stop for shake down checks. The race was steady and much valuable experience was gained. Sadly progression didn’t occur and there was an incident caused by other drivers in his final outing leaving some damage repairs through the winter. The whole event was well enjoyed by a number of supporters who came to visit, their presence is always appreciated. Through the winter there will be more smaller changes, a spare engine to be setup, cooling and data logger changes. Starting off where we finished last year returning to Silverstone. FF1600 will this year be supporting the new TCR UK tin top guys. As such we can expect larger crowds. If it wasn’t exciting enough already there will be new faces, new teams and new challenges. 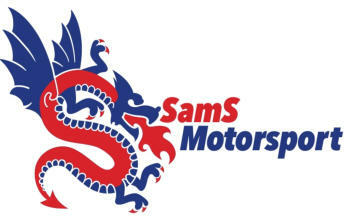 And live TV streaming as covered on the new Media Page here at Sams Motorsport. In preparation the team have already had one test visit to Silverstone early in March. It was a resounding sucess and we’re confident of competitive finishes in class in 2018. Sam will be competing again subject to funding in all 3 of the Triple crown events more if we can find additional funding. We rely heavily on external contributions and appreciate everything anyone does to support us. Especial thanks to the pit team for their efforts during events and on going comittment to getting that car going every meeting.